Marron Glace are a seasonal speciality; although eaten year round, they really come into their own when the cooler weather arrives. Starting with humble Chestnuts, they are then transformed through a fairly lengthy process into the wonderful confection we know as Marron Glace. 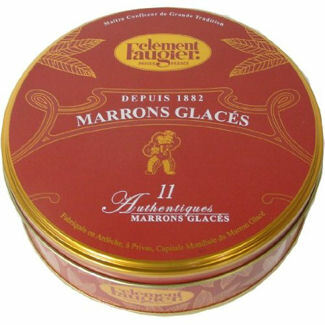 Click here to see our selection of Marron Glace. Marron Glace make great gifts! They are wonderful on their own, as part of a Glace Fruit Selection, or lovely as part of a dessert enjoyed with Ice Cream or Meringues.